Welcome to your guide to a great night out. If GQ thinks Swindon is a cool place to be come night time, then who are we to argue? After countless hours of committed and unselfish research, we can safely report that whether it's pop, funk, dubstep, house or 70s revival that you're into or simply letting your hair down with your mates, Swindon's nightlife is excellent and just keeps getting better. The town's wide choice of club-style bars with their own resident DJs and late licenses plus nightclubs offering only the best in turntable expertise and atmosphere, will guarantee you a venue to suit any mood, even the most cynical. Up town or down town? 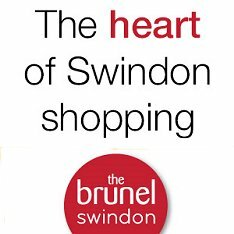 For those in the know, Swindon's scene after 6pm is split between the top of town (Old Town) and the bottom of town (New Town). Until a couple of years ago, Old Town was the only place to see and be seen, with the bottom of town nicely placed to corner the pipe and slippers market - but now things have changed - big time! Totally transformed, and with a new bar or club opening every five minutes, new town is now also one devilish place come nightfall and together with the top makes Swindon the ultimate night out for all serious party goers. The problem is, where do you start? Uptown or downtown? The answer is Uptown, because in this case it definitely pays to start at the top and work down! First stop Longs Bar. This is a seriously happening place from Thursday through to Sunday night, presenting an excellent mix of music and DJs with an emphasis on quality. Perfect for rubbing shoulders with the bold and the beautiful, it can get busy so be prepared for a wait at the bar. All in all, a great start to the evening. For quality live music, comedy and quiz nights seven days a week The Vic mustn't be missed. It's got a 'real pub' atmosphere and even boasts it's own dedicated underground stage and bar area - perfect for live music fans. Next stop - Wood St, just up the hill and on the left. Just head for Pizza Express if you haven't got your bearings after The Vic (and without a bite to eat, you probably won't have!). On such peckish thoughts, if you haven't taken in sustenance for the night ahead, then this may be a very good time to survey the nearby options. Needless to say, if your taste is a spicy one then opposite Longs you'll find one of Swindon's brightest and most-popular Indian restaurants Mela, or in Wood Street The Biplob - both are excellent. .... back to the bars! Alive every Friday and Saturday. The spacious modern front bar boasts a fantastic laid back atmosphere and stays open until 2am at weekends. From there, I'm off the the Bank - and not just for extra funds! The Old Bank, with three bars is my kinda place. Brilliant DJs on Thursday, Friday and Saturday nights plus the best looking barmen I've seen in a while. All that showing off. Love it! For those who prefer to be carniverous at a later hour, I will review the eating options for the bottom of town further down, but for now I must return to my chosen specialist subject - bar hopping in Swindon! And no visit to Old Town would be complete without a Long Island Iced Tea in Mackenzies (preferably in the garden, weather permitting of course). 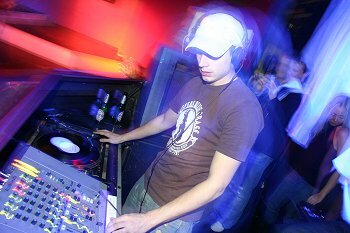 Oozing character since 1990 - and with a late licence until 1am at weekends - Mackenzies nicely mixes the post-work chillout crowd with those looking to get the best out of their hard-earned Friday and Saturday nights. And now even funkier with its recent open-plan re-furbishment and new upstairs bar. Off the cashpoint (again!) - there's Lloyds and Barclays just round the corner in the High Street. If you prefer to head to New Town early doors, tell the driver to head for Rudis, a Swindon favourite since the 70s and still packing 'em in come rain or shine. Always a favourite with the post-work drink crowd and has regular drinks promotions and serves fantastic food. This half-way location is also ideal for another of our town's best-known restaurants Swindon Rendezvous - scrummy! - if you can fit it in. Moving down (no pun intended! ), the bottom of town has been totally transformed over the last few years and completely pedestrianised, the choice of bars in this part of town is almost endless and now attracts party-goers from miles around. For the perfect mixer at this stage and definitely adding a bang to my wallbanger, I always get an alcoholic kick from Revolution - a vibrant atmosphere consumes the bar both downstairs & upstairs in the "Club Room" with large booths and a dance floor creating a great atmosphere where you can party the night away. To continue the caino in grand-style where better than the massive TPs because I love their drinks offers by this time of night before a total change of direction! Off to The Rolleston - a place that'll be really going for it by the time I arrive. Wow! What a night it's turning out to be! And we haven't even started clubbing yet! So prepare for a rousing climax! Back up to Old Town for Suju. You can literally bop 'til you drop as it's open until 9am Sunday morning! The music policy is live bands and indie on a Friday and minimal/soulful uplifting house on a Sat - very popular with the Amphi crew from the old Brunel days. Oh, and don't miss the glitter ball in the garden! Phew, after all that dancing the night away I've worked up a bit of an appetite! Well, who wouldn't be after a night like this! Personally, I like a good curry when the night is finally over, and the best place to get a bite to eat and for more curry houses this side of Delhi, it has to be the library end of Commercial Road, near Rudi's - it's curry heaven! And my favourite has to be The Khyber as no one else comes remotely close to satisfying me at the end of the night than these this Curry King! Highly recommended. Can't wait to get home? Competing for a ride home can be hell, so it makes sense to either book one in advance or pick a good place to wait. Outside the library is as good a place as ever to find a taxi but expect to queue for 20 mins come 2am. And that's mine and SwindonWeb's guide to a night out in Swindon. It might not quite be what you're looking for but we can't fault it. And if you see me about, I'll buy you a drink!